Good Images Speak a Thousand Words – But Is It Legal? Two things I learned about posting articles — good content, and killer images. Something about that picture tells a story, has me spending almost as much time searching for the right image as I do writing the article itself. Professional blog mavens claim an article graphic more than doubles site visitation, and acts as a lure to get visitors to stop and actually read the article. No shortage of great material on the internet’s cyclopean browser engine, finding good blog photos or illustrations can be a blessing of convenience or a pitfall of copyright infringement. It is not a new subject, and author/bloggers have posted many a cautionary tale, but too many folks today, especially newbies starting out in the blogosphere, still think that if something is on the internet, it’s public and free to use. I recently helped a fellow author post an article, which had a “great photo” from Google Images, no additional attributes provided. I could tell by the photo type, it was a canned stock photo from a royalty-free site (which doesn’t mean it’s free). My friend couldn’t remember which Google page it originated, and in the interest of avoiding possible copyright infringement, I offered a royalty-free selection of “similar” shots from a site I use, for only two bucks. My friend can buy me a donut some day. Posting random photos on the internet happens every nanosecond, so what’s the big deal? Isn’t a disclaimer and/or attribute with “Found on Google Images” good enough. Not like we’re trying to take credit for someone else’s work. Here’s a recent story posted in January by Roni Loren, Blogger Beware: You Can Get Sued For Using Photos You Don’t Own on Your Blog. On one random post, I grabbed one random picture off Google and then a few weeks later I got contacted by the photographer who owned that photo. He sent me a takedown notice, which I responded to immediately because I felt awful that I had unknowingly used a copyrighted pic. The pic was down within minutes. But that wasn’t going to cut it. He wanted compensation for the pic. A significant chunk of money that I couldn’t afford. I’m not going to go into the details but know that it was a lot of stress, lawyers had to get involved, and I had to pay money that I didn’t have for a use of a photo I didn’t need. I have my own story. During the early months of my newly launched blog page a few years ago, I used a “great photo” from Google Images, with no second thoughts as to if I should, or could, use it on an article. It wasn’t even the header graphic, but a smaller 3D art thumbnail at the end of the post. A couple weeks later, I got one of those “Dear DT” emails from the artist who created it. He graciously forgave my indiscretion, provided I properly attribute it to his artist website. Dodged a bullet. Color me lucky. I now mostly use graphic art and stock photos from royalty-free sites for the price of a couple donuts. Taking your own pictures is sure-fire way to avoid copyright issues, but if your photographic library is stocked with mostly selfies and video-grabs of the neighbor’s cat, you’ll have to consider alternate resources. But canned photo stock is so “corporate-ish”. True, most sites are geared to service business clients, but I’ve found surprising exceptions on the site I use, Depositphotos, and there are many other sites like it (See references below). But those free creative commons sites all carry the same overused images. I’ve learned to sift multiple sites to find what I’m looking for, but it does take time. But no one’s going to care, it’s just a stupid blog. Then it probably is. But I really like this “great photo” I found on Pinterest. I’m a huge fan of Pinterest, but I tend to avoid using Pinterest pins. The rare times I have, I ensure it isn’t copyrighted material (need to follow the rabbit holes), and link the pic directly to the original pinner. Want to know a secret? If you’re patient (key word here), and willing to search out the artist/photographer, you’ll be surprised how many of them are willing to give permission to post their work, provided it’s properly attributed and linked to their site. When I created my blog site, Searching for Light in the Darkness, I spent days looking for the perfect image to represent my brand theme. 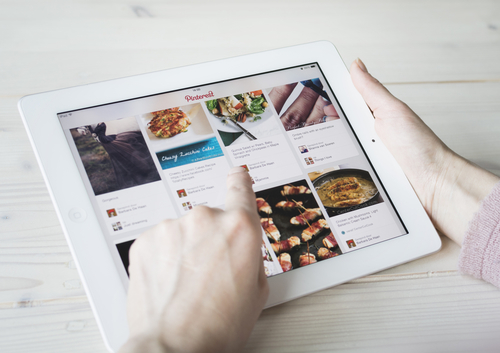 Pinterest hadn’t become popular yet, I didn’t know about stock photo sites, and Google was the only playground in sight. Found a lot of material, but most linked me to dead-end rabbit holes. Then I stumbled on photographer Lori Nix, who photographs her own elaborate dioramic settings. On a whim (and a bit of ferreting through a labyrinth of internet links), I found her contact info, and ultimately secured permission to use her dioramic, dilapidated library with a tree stretching toward the roof for better light. 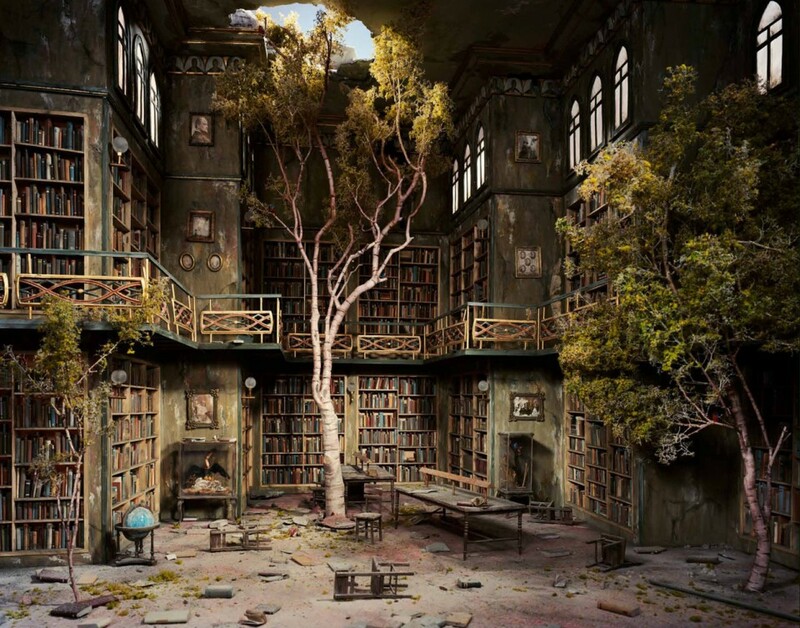 I included a short description of “The Library” in my profile, with links to Lori’s site, and highlighted her unique artistic journey in a blog titled, Lori Nix – My 8X10 Life, based on an article written by her partner, Kathleen Gerber. On my new about.me social media profile, The Library has attracted over 50,000 views year to date, and dozens of complements. Sometimes a photo or illustration itself will spark an article. Such was the case with my article, To Be Human, Or Not To Be. 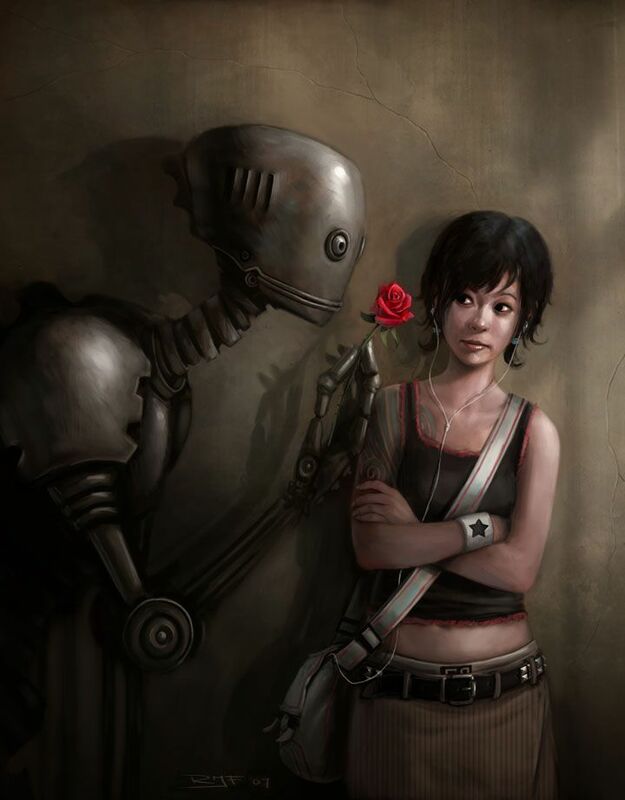 Rudy Faber’s “Robot in Love“, sent my muse into hyper-drive, but Faber’s 3D illustration had been pinned and re-pinned by dozens of like-minded admirers from one blogger site to another, with no clue where the graphic originated. Just finding the artist’s name required herculean web sleuthing. I located Faber’s work on DeviantArt (another favorite haunt), which led to his site, which led to his Facebook page, which led to his contact address, and eventual permission to post his art. It took a couple weeks of waiting. Was it worth it? Absolutely. The article generated twice the average views, and I hope more traffic to Faber’s gallery. If you’re still hemming and hawing on the need for legal attribution, just imagine yourself an artist who put hours, days, maybe weeks, into creating that perfect picture or illustration. Imagine seeing your work headlining an article with nary a mention of who created that perfect image. I’d be pissed. So would you, I’ll venture. Writers, especially Indie authors, are very familiar with the potential for piracy. Same goes for photographers, graphic artists, and illustrators. I’ve provided a few recent articles below on the subject from writers who offer some good advice, and links to many sites offering free and low cost royalty-free stock. Blogging Jedi, Kristen Lamb, has free photo sharing at WANA Commons site with hundreds of members. And if you stumble on that perfect image that’s not available on stock photo sites, take the time to find the artist and just ask. We’re all artists looking for a little exposure … and not find ourselves staring into the evil eye of copyright infringement. If you have a favorite site for finding blog images, share it with us in the comments section. If you like this article, show the love and “like” it back. If you like reading my stuff, be sure to sign up for an email notice of new articles. 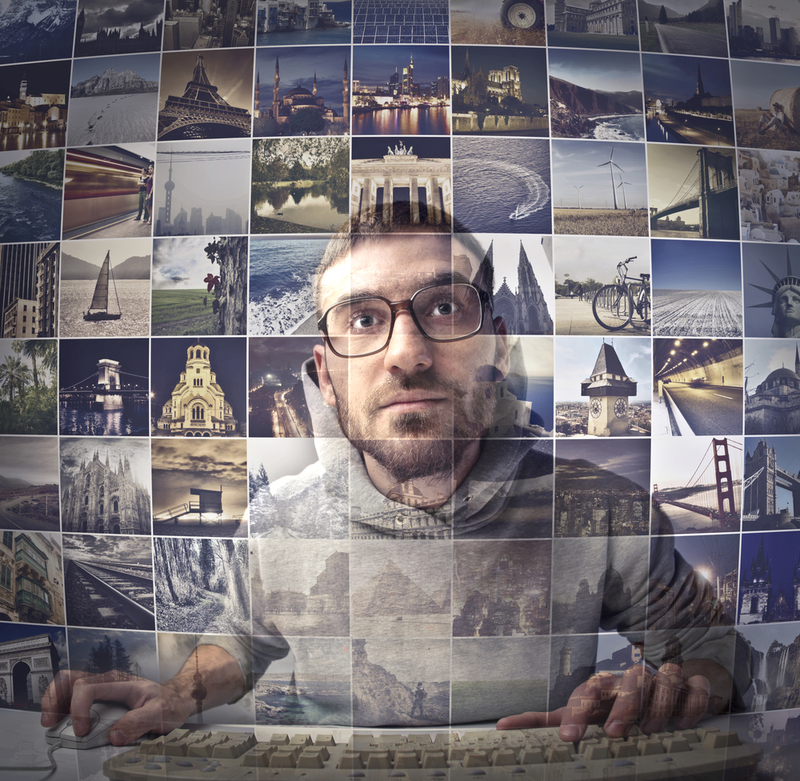 Articles of interest about using images for blogs.